Today, we continue this series with Personal Coach, Michele Benza, Founder of Michele Benza, Image Consulting & Posture. I have to thank Michele again for her patience, when half-way through our first attempt at this interview, I discovered that the recording had stopped early on. With grace and a smile, Michele willingly started over with me and you will be very happy she did. By telling the story of her business experiences, Michele shares the upsides and how to manage the downsides of business; she discusses how you must discover your style, not through your clothing, but by integrating it with your personality; and why your image is your first non-verbal business card. Enjoy! A native of Belgium, Michele was raised and educated in Brussels. By her late 20’s, Michele had already made her entry into the fashion world with the opening of a “parfumerie” in Brussels with expanded services including designer’s wears, accessories and spa services. After meeting and marrying an ‘American in Paris’, Michele moved with her husband to New York in 1983. When midlife looked Michele Benza in the eye, she decided to return to her first love: fashion. Michele decided that it was time for a change and to return to her roots, to do what she knew best and had a passion for: helping people to improve their self-esteem, confidence and appearance. Already a certified Pilates instructor, she then did the same with image consulting. She elected to return to Europe to refresh her image consultant skills and renew her image consultant certification. Then she performed some unique magic; by combining these two certifications into one business model: she created Michele Benza ICP (Image Coaching & Posture), created to assist clients dress appropriately for their body type, life style and age while attaining their ideal posture. Michele is a member of AFIPP, Association Française pour l’Image Personnelle et Professionnelle. 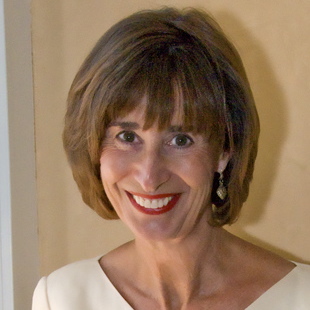 She is also a columnist for 50+ fabulous.com and for the Bay Area Women’s Journal San Francisco. Michele Benza offers completely confidential image coaching featuring European style and elegance. Her studio is located at 210 Post Street (Shreve Building), Suite 611 in San Francisco. Michele takes advantage of our new technology to work with far-away clients. Tel. 415-302-9366 www.michelebenza.com. Please connect with Michele on Twitter, watch her on YouTube, and take a moment to become a Fan of her great Facebook page. This entry was written by Dr. Shannon Reece, posted on May 26, 2011 at 5:00 am, filed under Spotlight on Success Episodes and tagged Advisory of Women Entrepreneurs, AWE Spotlight Interview, businesswoman, entrepreneur, Image consulting, Michele Benza, Michele Benza Image Consulting and Posture, startups, strategies for women, style. Bookmark the permalink. Follow any comments here with the RSS feed for this post. Post a comment or leave a trackback: Trackback URL.